For the Ornette Coleman album see Free Jazz: A Collective Improvisation. As its name implies, free jazz cannot be defined more than loosely, as many musicians draw on free jazz concepts and idioms, and it was never completely distinct as a genre. Many free jazz musicians, notably Pharoah Sanders and John Coltrane, used harsh overblowing or other techniques to elicit unconventional sounds from their instruments, or played unusual instruments. Free jazz musicians created a progressive musical language which drew on earlier styles of jazz such as Dixieland jazz and African music. Typically this kind of music is played by small groups of musicians. The music often swings but without regular meter, and there are frequent accelerandi and ritardandi. Free jazz is strongly associated with the 1950s innovations of Ornette Coleman and Cecil Taylor and the later works of saxophonist John Coltrane. Other important pioneers include Charles Mingus, Eric Dolphy, Albert Ayler, Archie Shepp, Joe Maneri and Sun Ra. Coleman pioneered many techniques typical of free jazz, most notably his rejection of pre-written chord changes, believing instead that freely improvised melodic lines should serve as the basis for harmonic progression in his compositions. Some of bassist Charles Mingus's work was also important in establishing free jazz. Of particular note are his early Atlantic albums, such as The Clown, Tijuana Moods, and most notably Pithecanthropus Erectus, the title song of which contained one section that was freely improvised in a style unrelated to the song's melody or chordal structure. Although today "free jazz" is the generally used term, many other terms were used to describe the loosely defined movement, including "avant-garde", "energy music" and "The New Thing". During its early and mid-1960s heyday, much free jazz was released by established labels such as Prestige, Blue Note, and Impulse, as well as independents such as ESP Disk and BYG Actuel. Keith Johnson of AllMusic describes a "Modern Creative" genre, in which "musicians may incorporate free playing into structured modes -- or play just about anything." Johnson includes John Zorn, Henry Kaiser, Eugene Chadbourne, Tim Berne, Bill Frisell, Steve Lacy, Cecil Taylor, Ornette Coleman, and Ray Anderson in this genre, which continues "the tradition of the '50s to '60s free-jazz mode". Defining the essence of free jazz is complicated; many musicians draw on free jazz concepts and idioms, and free jazz was never entirely distinct from other genres. Many individual musicians reject efforts at classification, regarding them as useless or unduly limiting. Free jazz uses jazz idioms, and like jazz it places an aesthetic premium on expressing the "voice" or "sound" of the musician, as opposed to the classical tradition in which the performer is seen more as expressing the thoughts of the composer. Many free jazz musicians, notably Pharoah Sanders and John Coltrane, use harsh overblowing or other techniques to elicit unconventional sounds from their instruments, played unusual instruments like the shehnai, or used recording techniques like Marzette Watts. Earlier jazz styles typically were built on a framework of song forms (e.g. : the twelve-bar blues or the 32-bar AABA popular song form) with a set framework of chord changes. In free jazz, the dependence on a fixed and pre-established form is eliminated, and the role of improvisation is correspondingly increased. As guitarist Marc Ribot has remarked, free jazz musicians like Ornette Coleman and Albert Ayler, "although they were freeing up certain strictures of bebop, were in fact each developing new structures of composition." Free jazz, especially during its inception, contains theme of both progressive musical language and gathering inspiration from the past. The rejection of the bop aesthetic was combined with an increased fascination with earlier styles of jazz such as Dixieland jazz with its collective improvisation, as well as African music. This interest in older and more culturally authentic forms of music resulted in the incorporation of instruments from a variety of global cultures by many free jazz musicians from a variety of global cultures. This includes Ed Blackwell's use of the West African talking drum, and Leon Thomas's interpretation of pygmy yodeling. Typically this kind of music is played by small groups of musicians, although some examples use larger numbers. For example, John Coltrane's 1965 album Ascension, uses eleven musicians. Other forms of jazz use clear regular meters and strongly pulsed rhythms, usually in 4/4 or (less often) 3/4. Free jazz normally retains a general pulsation and often swings but without regular meter, and we encounter frequent accelerando and ritardando, giving an impression of the rhythm moving in waves. Despite all of this, it is still very often possible to tap one's foot to a free jazz performance; meter is more freely variable but has not disappeared entirely. Previous jazz forms used harmonic structures (usually cycles of diatonic chords), and even when improvisation occurred it was founded on the notes in the chords. Free jazz almost by definition is free of such structures, but also by definition (it is, after all, "jazz" as much as it is "free") it retains much of the language of earlier jazz playing. It is therefore very common to hear diatonic, altered dominant and blues phrases in this music. The practitioners of free jazz were serious about pursuing this approach, and their music employed concurrent developments in 20th Century art-music theory and practice also used by John Cage, Musica Elettronica Viva, and the Fluxus movement. Finally, some forms use composed melodies as the basis for group performance and improvisation. Free jazz practitioners sometimes use such material, and sometimes do not. In some music which is called "free jazz" (or avant-garde jazz) other compositional structures are employed, some of them very detailed and complex; recordings of Clifford Thornton and Anthony Braxton furnish many examples. Many critics, particularly at the music's inception, suspected that the abandonment of familiar elements of jazz pointed to a lack of technique on the part of the musicians. Today such views are more marginal, and the music has built up a tradition and a body of accompanying critical writing. It remains less commercially popular than most other forms of jazz. This breakdown of form and rhythmic structure has been seen by some critics to coincide with jazz musicians’ exposure to and use of elements from non-Western music, especially African, Arabic, and Indian. The atonality of free jazz is often credited by historians and jazz performers to a return to non-tonal music of the nineteenth century, including field hollers, street cries, and jubilees (part of the “return to the roots” element of free jazz). This suggests that perhaps the movement away from tonality was not a conscious effort to devise a formal atonal system, but rather a reflection of the concepts surrounding free jazz. Eventually, jazz became totally “free” by removing all dependence on chord progressions and instead using polytempic and polyrhythmic structures. While free jazz is widely considered to begin in the late 1950s, there are compositions that precede this era that have notable connections to the free jazz aesthetic. Some of the works of Lennie Tristano in the late 1940s, particularly "Intuition", "Digression", and "Descent into the Maelstrom" exhibit the use of techniques associated with free jazz, such as atonal collective improvisation and lack of discrete chord changes. Other notable examples proto-free jazz include City of Glass written in 1948 by Bob Graettinger for the Stan Kenton band and Jimmy Giuffre's 1953 "Fugue". It can be argued, however, that these works are more representative of third stream jazz with its references to contemporary classical music techniques such as serialism. 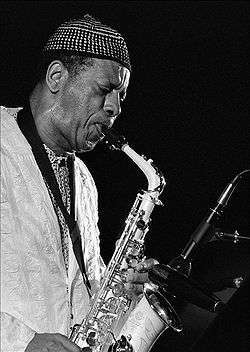 The true beginning of free jazz as it is understood today, however, came with the recordings of Ornette Coleman. Coleman pioneered many techniques typical of free jazz, most notably his rejection of pre-written chord changes, believing instead that freely improvised melodic lines should serve as the basis for harmonic progression in his compositions. His first notable recordings for Contemporary included Tomorrow Is the Question! and Something Else in 1958, garnering Coleman national recognition. In terms of free jazz history, these albums revolutionized concepts of musical structure, as many of the compositions on these two early albums do not follow typical 32-bar form and often employ abrupt changes in tempo and mood. The free jazz movement received its biggest impetus when Coleman moved from the West Coast to New York and was signed to Atlantic Records: albums such as The Shape of Jazz to Come and Change of the Century marked a radical step beyond his more conventional early work. On these albums, Coleman strayed from the tonal basis that formed the lines of his earlier albums and began truly examining the possibilities of atonal improvisation. The most important recording to the free jazz movement from Coleman during this era, however, came with Free Jazz, recorded in A&R Studios in New York in 1960. It marked an abrupt departure from the highly structured compositions of his past. Recorded with a double quartet separated into left and right channels, Free Jazz brought a more aggressive, cacophonous texture to Coleman's work, and the record's title would provide the name for the nascent free jazz movement. In conjunction with Coleman's innovations during the early 1960s, contemporary pianist Cecil Taylor was also exploring the possibilities of avant-garde free jazz. A classically trained pianist, Taylor's main influences included Thelonious Monk and Horace Silver, who prove key Taylor's later unconventional uses of the piano. Jazz Advance, his first album released in 1956 under the Transition label, still showed ties to the more traditional jazz music albeit with a greatly expanded harmonic vocabulary. The harmonic freedom of these early releases, however, would lead to his transition into free jazz during the early 1960s. Key to this transformation was the introduction of saxophonist Jimmy Lyons and drummer Sunny Murray in 1962, who encouraged the use of more progressive musical language such as tone clusters and abstracted rhythmic figures. Taylor's landmark release in the formation of free jazz in the 1960s came in the form of Unit Structures, released via Blue Note in 1966. It was on this recording that Taylor truly marked his transition into free jazz, as his compositions now were almost completely composed without notated scores, devoid of conventional jazz meter and harmonic progression. This new direction was especially influenced by drummer Andrew Cyrille, who manages to provide rhythmic dynamism outside the conventions of bebop and swing. During this time period, Taylor also began exploring some of the techniques of the classical avant-garde, especially evident in his use of prepared pianos as was developed by composer John Cage. Along with Taylor and Coleman, Albert Ayler was one of the essential composers and performers during the beginning period of free jazz. He began his career as a bebop tenor saxophonist in Scandinavia, and had already begun pushing the boundaries of tonal jazz and blues to their harmonic limits. He soon began collaborating with notable free jazz musicians, including Cecil Taylor in 1962. He pushed the jazz idiom to its absolute limits, and many of his compositions bear little resemblance to jazz of the past. Ayler’s musical language focused on the possibilities of microtonal improvisation and extended saxophone technique, creating squawks and honks with his instrument to achieve multiphonic effects. Yet amidst Ayler’s progressive techniques, he shows an attachment for simple, rounded melodies reminiscent of folk music, which he explores via his more avant-garde style. One of the most key of Ayler's free jazz recordings is Spiritual Unity, including his often recorded and most famous composition, Ghosts, in which a simple spiritual-like melody is gradually shifted and distorted through Ayler's unique improvisatory interpretation. Ultimately, Ayler serves as an important example of many ways which free jazz could be interpreted, as he often strays into more tonal areas and melodies while exploring the timbral and textural possibilities within his melodies. In this way, his free jazz is built upon both a progressive attitude towards melody and timbre as well as a desire to examine and recontextualize the music of the past. Yeah, well, I feel indebted to him [Coleman], myself. Because actually, when he came along, I was so far in this thing [the "harmonic structures"], I didn't know where I was going to go next. And, I didn't know if I would have thought about just abandoning the chord system or not. I probably wouldn't have thought of that at all. And he came along doing it, and I heard it, I said, "Well, that - that must be the answer." While Coltrane's desire to explore the limits of solo improvisation and the possibilities of innovative form and structure was evident in records like A Love Supreme, his work owed more to the tradition of modal jazz and post-bop. But with the recording of Ascension in 1965, Coltrane demonstrated his appreciation for the new wave of free jazz innovators. Ascension saw Coltrane augmenting his classic quartet with six additional horn players, including notable free jazz artists Archie Shepp and Pharoah Sanders. Formally, the composition includes free-form solo improvisation interspersed with sections of collective improvisation reminiscent of Coleman's Free Jazz. The piece sees Coltrane exploring the timbral possibilities of his instrument, using over-blowing to achieve multiphonic tones. Coltrane continued to explore the avant-garde in his following compositions, including such albums as Om, Kulu Se Mama, and Meditations, as well as collaborating with notable free jazz artists such as John Tchicai. Much of Sun Ra's music could be classified as free jazz, especially his work from the 1960s, although Sun Ra said repeatedly that his music was written and boasted that what he wrote sounded more free than what "the freedom boys" played. Music by Sun Ra, especially The Heliocentric Worlds of Sun Ra (1965), was, in fact, steeped in what could be referred to as a new black mysticism. But Sun Ra's penchant for nonconformity aside, he was along with Coleman and Taylor an integral voice to the formation of new jazz styles during the 1960s. As evidenced by his compositions on the 1956 record Sounds of Joy, Sun Ra's early work employed a typical bop style. But he soon foreshadowed the free jazz movements with compositions like "A Call for Demons" off of the 1955-57 record Angels and Demons at Play, which combines atonal improvisation with Latin-inspired mambo percussion. His period of fully realized free jazz experimentation began in 1965, with the release of The Heliocentric Worlds of Sun Ra and The Magic City. These records placed a musical emphasis on timbre and texture over meter and harmony, employing a wide variety of electronic instruments and innovative percussion instruments, including the electric celeste, Hammond B-3, bass marimba, harp, and timpani. As result, Sun Ra proved to be one of the first free jazz artists to explore the possibilities of electronic instrumentation, as well as displaying an interest in timbral possibilities through his use of progressive and unconventional instrumentation in his compositions. 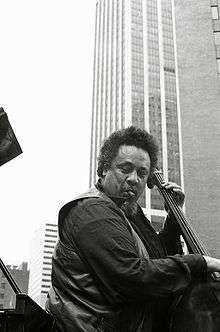 Some of bassist Charles Mingus' work was also important in establishing free jazz. Of particular note are his early Atlantic albums, such as The Clown, Tijuana Moods, and most notably Pithecanthropus Erectus, the title song of which contained one section that was freely improvised in a style unrelated to the song's melody or chordal structure. His contributions were primarily in his efforts to bring back the importance of collective improvisation in a music scene that had become dominated by solo improvisation (as a result of the development of the big band). His music did reflect the ideas of freedom, but also looked back, drawing upon bop and even swing styles. The Jimmy Giuffre Trio (with Paul Bley and Steve Swallow) received little attention during their original incarnation from 1960 to 1962, but afterwards were regarded as one of the most innovative free jazz ensembles. In Europe, free jazz first flowered through the experiments of expatriate Jamaican alto saxophonist Joe Harriott. Beginning in the late 1950s, he worked on his own distinctive concept of what he termed free form. These explorations were parallel to Coleman's in many respects but Harriott's work was barely known outside England. Beginning in the mid-1960s, players such as guitarist Derek Bailey, saxophonists Peter Brötzmann and Evan Parker and drummer John Stevens developed an idiom that came to be called "free improvisation". It drew sustenance from free jazz while moving much further from jazz tradition (often drawing equally on contemporary composers such as Anton Webern and John Cage for inspiration). Also based in Europe, Steve Lacy worked with free improvisation, but had greater connections to the New York musical scene. Free jazz has primarily been an instrumental genre. However, Jeanne Lee was a notable free jazz vocalist; others such as Jayne Cortez, Sheila Jordan, Linda Sharrock, and Patty Waters also made notable contributions to the genre. Much of the multi-instrumentalist Anthony Braxton's music could be classified as free jazz. His Ghost Trance Music, which introduces a steady pulse to his music, also allows the simultaneous performance of any piece by the performers. Braxton has recorded with many of the free jazz musicians, including Ornette Coleman and European free improvisers such as Derek Bailey, Evan Parker, and the Globe Unity Orchestra. The 1960s lay the foundation for free jazz, but by the 1970s, the setting for the jazz avant-garde was shifting. There was a large migration of avant-garde and free jazz musicians to New York City, seeking new venues and audiences for their music. These new arrivals, including musicians such as Arthur Blythe, James Newton, and Mark Dresser, marked the beginning of the Loft Era. As the name may imply, musicians during this time would often perform in private homes and other unconventional spaces. During this time, the status of free jazz became more complex, as many musicians sought to bring in various different genres into their works. Free jazz no longer necessarily indicated the rejection of tonal melody, overarching harmonic structure, or metrical divide, as laid out by Coleman, Coltrane, and Taylor. Instead, the free jazz techniques and aesthetic developed in the 1960s became just one of many influences, including popular and world music, in this new strain of loft jazz. By the 1980s the "downtown" scene replaced the previous decades's loft jazz scene as the center of activity for New York City avante gard and free jazz artists (especially as rents increased in what had been largely low rent or undesirable neighborhoods), being associated with places such as the Knitting Factory, which opened in 1987. A younger generation of players including David S. Ware, Matthew Shipp, William Parker and Joe Morris continued to play free jazz inspired by the ground-breaking work of the 1960s New Thing. Like other styles of jazz, free jazz also adopted elements of contemporary rock, funk and pop music: Ornette Coleman was a leader in this vein, embracing electric music with his 70s band Prime Time, and a number of other players including James Blood Ulmer, Sonny Sharrock, and Ronald Shannon Jackson forged styles combining elements of free jazz and fusion. George Russell, hailed as “the great pathbreaker” for encouraging the use of modes by free jazz composers and performers, was a faculty member at the New England Conservatory. David Baker received two degrees from and later taught at Indiana University in Bloomington, and also performed actively. In many cases, musicians with these appointments were able to bring other artists onto campus as instructors and performers; Thornton secured positions at Wesleyan for Jimmy Garrison, Sam Rivers, and Ed Blackwell, and brought Marion Brown to perform and - eventually - to study. The 1981 documentary film Imagine the Sound explores free jazz through interviews with and performances by Archie Shepp, Paul Bley, Cecil Taylor and Bill Dixon. 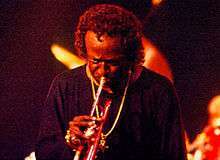 Many musicians are keeping the free jazz style alive in the present day. Two major scenes are based in New York and Chicago. In New York, players include Charles Gayle, William Parker, Matana Roberts, Chad Taylor, John Zorn, Assif Tsahar, Tom Abbs, Kenny Werner, and Chris Speed. In Chicago, notable performers are Fred Anderson, Nicole Mitchell, Ernest Dawkins, Ken Vandermark, and Hamid Drake. the freer aspects of jazz, at least, have reduced the freedom acquired in the sixties. Most successful recording artists today construct their works in this way: beginning with a strain with which listeners can relate, following with an entirely free portion, and then returning to the recognizable strain. The pattern may occur several times in a long selection, giving listeners pivotal points to cling to. At this time, listeners accept this – they can recognize the selection while also appreciating the freedom of the player in other portions. Players, meanwhile, are tending toward retaining a key center for the seemingly free parts. It is as if the musician has learned that entire freedom is not an answer to expression, that the player needs boundaries, bases, from which to explore. Tanner, Gerow and Megill name Miles Davis, Cecil Taylor, John Klemmer, Keith Jarrett, Chick Corea, Pharoah Sanders, McCoy Tyner, Alice Coltrane, Wayne Shorter, Anthony Braxton, Don Cherry, and Sun Ra as musicians who have employed this approach. Canadian artist Stan Douglas uses free jazz as a direct response to complex attitudes towards African-American music. Exhibited at documenta 9 in 1992, his video installation Hors-champs (meaning "off-screen") addresses the political context of free jazz in the 1960s, as an extension of black consciousness and is one of his few works to directly address race. Four American musicians, George Lewis (trombone), Douglas Ewart (saxophone), Kent Carter (bass) and Oliver Johnson (drums) who lived in France during the free jazz period in the 1960s, improvise Albert Ayler's 1965 composition "Spirits Rejoice." New York Eye and Ear Control is Canadian artist Michael Snow's 1964 film with a soundtrack of group improvisations recorded by an augmented version of Albert Ayler's group and released as the album New York Eye and Ear Control. Critics have compared the album with the key free jazz recordings: Ornette Coleman's Free Jazz: A Collective Improvisation and John Coltrane's Ascension. John Litweiler regards it favourably in comparison because of its "free motion of tempo (often slow, usually fast); of ensemble density (players enter and depart at will); of linear movement". Ekkehard Jost places it in the same company and comments on "extraordinarily intensive give-and-take by the musicians" and "a breadth of variation and differentiation on all musical levels". French artist Jean-Max Albert, as trumpet player of Henri Texier’s first quintet, participated in the 60s in one of the very first expressions of free jazz in France. As a painter, he then experimented plastic transpositions of Ornette Coleman’s approach. Free jazz, painted in1973, used architectural structures in correspondence to the classical chords of standard harmonies confronted with an unrestrained all over painted improvisation. Jean-Max Albert still explores the free jazz lessons, collaborating with pianist François Tusques in experimental films : Birth of Free Jazz, Don Cherry… these topics concidered through a pleasant and poetic way. Outside of North America, free jazz scenes have become established in Europe and Japan. Alongside the aforementioned Joe Harriott, saxophonists Peter Brötzmann, Evan Parker, trombonist Conny Bauer, guitarist Derek Bailey, pianist Fred Van Hove, drummer Han Bennink, saxophonist and bass clarinetist Willem Breuker, and pianist Misha Mengelberg were among the most well-known early European free jazz performers. European free jazz can generally be seen as approaching free improvisation, with an ever more distant relationship to jazz tradition. Specifically Brötzmann has had a significant impact on the free jazz players of the United States. A relatively active free jazz scene behind the iron curtain produced musicians like Tomasz Stańko, Zbigniew Seifert, Vladimir Chekasin, Vyacheslav Ganelin and Vladimir Tarasov. Japanese guitarist Masayuki Takayanagi and saxophonist Kaoru Abe, among others, took free jazz in another direction, approaching the energy levels of noise. Some international jazz musicians have come to North America and become immersed in free jazz, most notably Ivo Perelman from Brazil and Gato Barbieri of Argentina (this influence is more evident in Barbieri's early work). South African artists, including early Dollar Brand, Zim Ngqawana, Carlo Mombelli, Chris McGregor, Louis Moholo, and Dudu Pukwana experimented with a form of free jazz (and often big-band free jazz) that fused experimental improvisation with African rhythms and melodies. American musicians like Don Cherry, John Coltrane, Milford Graves, and Pharoah Sanders integrated elements of the music of Africa, India, and the Middle East for a sort of World music-influenced free jazz. 1 2 3 4 Johnson, Keith. "Modern Creative". AllMusic. Rovi Corporation. Retrieved 14 July 2010. ↑ "A Fireside Chat with Marc Ribot". All About Jazz. Accessed 2013-01-28. ↑ Robinson, J. Bradford (2002). 978-1561592845, ed. "Free Jazz" in The New Grove Dictionary of Jazz (2nd ed.). New York: Grove's Dictionaries Inc. pp. 848–849. ISBN 978-1561592845. ↑ Jost, Ekkehard (1974). Studies in Jazz Research 4: Free Jazz. Universal Edition. ↑ Litweiler, John (1984). The Freedom Principle: Jazz After 1958. Da Capo. ISBN 0-306-80377-1. 1 2 3 4 Southern, Eileen (1997). The Music of Black Americans: A History, Third Edition. New York, New York: W.W. Norton & Company, Inc. pp. 494–497. ISBN 0-393-97141-4. ↑ Gioia, Ted (2011). The History of Jazz. Oxford: Oxford University Press. pp. 309–310. ↑ Anderson, Iain (2007). This is Our Music: Free Jazz, the Sixties, and American Culture. Philadelphia: University of Pennsylvania Press. p. 62. ↑ Shipton, Alyn (2001). A New History of Jazz. London: Continuum. p. 780. ↑ Allen, Jim. "Encyclopedia of Jazz Musicians". Taylor, Cecil. Jazz.com. ↑ Gioia, (2011), pp. 319-320. ↑ Shipton, (2001), p. 794. ↑ Kernfeld, Barry. "Ayler, Albert". The New Grove Dictionary of Jazz. Oxford University Press. Retrieved 20 April 2014. ↑ Quersin, Benoit (1998). "La Passe Dangereuse (1963)". In Carl Woideck. The John Coltrane Companion: Five Decades of Commentary. New York: Schirmer Books. p. 123. ISBN 978-0028647906. ↑ Anderson, (2007), p. 114. ↑ Berendt, Joachim-Ernst; Huesmann, Günther (2009). The Jazz Book: From Ragtime to the 21st Century. Lawrence Hill Books. p. 28. ↑ Kernfield, Barry. "Sun Ra". Grove Music Online. Oxford University Press. Retrieved 21 April 2014. ↑ DeVeaux, Scott (2009). Jazz. New York: W.W. Norton & Company. pp. 431–432. ISBN 978-0-393-97880-3. 1 2 Tanner, Paul O. W.; Maurice Gerow; David W. Megill (1988) . "Free Form — Avant Garde". Jazz (6th ed.). Dubuque, IA: William C. Brown, College Division. p. 129. ISBN 0-697-03663-4. ↑ Krajewsk, "Stan Douglas, 15 September 2007 — 6 January 2008, Staatsgalerie & Wurttembergischer"
↑ Review by Scott Yanow, Allmusic. ↑ Litweiler, John (1984). The Freedom Principle: Jazz After 1958. Da Capo. ↑ Jost, Ekkehard (1975). Free Jazz (Studies in Jazz Research 4). Universal Edition. ↑ Sklower, Jedediah (2006). Free Jazz, la catastrophe féconde.Page 147 Une histoire du monde éclaté du jazz en France (1960-1982). Collection logiques sociales. Paris: Harmattan. ISBN 2-296-01440-2. Anderson, Iain (2007). This Is Our Music: Free Jazz, the Sixties, ad American Culture. Philadelphia: University of Pennsylvania Press. ISBN 978-0812220032. Gioia, Ted (2011). The History of Jazz. Oxford: Oxford University Press. pp. 309–325. ISBN 978-0195399707. Rivelli, Pauline, and Robert Levin (eds.) (1979). Giants of Black Music. New York: Da Capo Press. CS1 maint: Multiple names: authors list (link) Articles from Jazz & Pop Magazine. Reprint of the 1970 edition, New York: World Publishing Co.
Shipton, Alyn (2001). A New History of Jazz. London: Continuum. pp. 773–802. ISBN 978-0826429728. Sinclair, John; Robert Levin (1971). Music & Politics. New York: World Publishing Co.
Woideck, Carl, ed. (1998). The John Coltrane Companion: Five Decades of Commentary. New York: Schirmer Books. ISBN 978-0028647906.